When Vanity Fair asked if Tinseltown Mom would like to participate in an empowering new initiative, “For Women Who Do,” a cause that celebrates the many fantastic triumphs of women everywhere, we couldn’t say no. 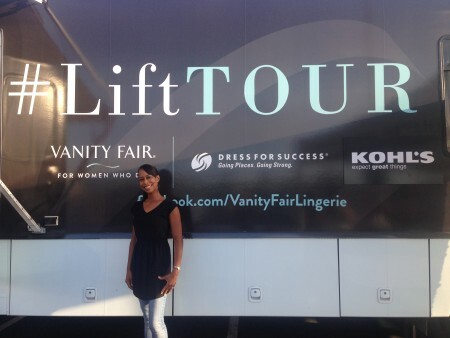 This Summer, Vanity Fair and Dress for Success kicked off a national LiftTOUR – a nationwide bus tour with a focus on fit and philanthropy. 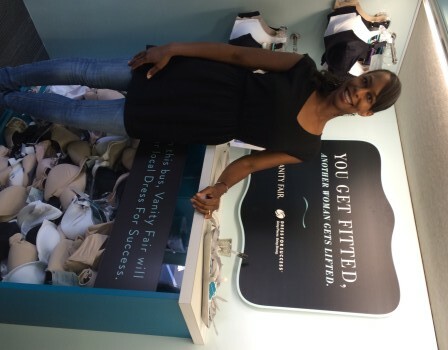 The LiftTOUR is traveling across the country conducting bra fittings at major retail locations, and for every woman fit, Vanity Fair will donate a brand-new bra to the local Dress for Success affiliate. Dress for Success is an organization dedicated to promoting the economic independence of disadvantaged women by providing professional attire, career development tools and a network of support. Vanity Fair, came onboard to lend its expertise, resources and extensive product offering to help replenish the lingerie of the non-profit organization. You’ll also have an opportunity to learn about Vanity Fair’s newest product.